Appliance Repair Downtown Calgary | 587-317-2418 | Same Day! The services Appliance Repair Calgary provides do not merely aim at ensuring a more comfortable life but also a healthier life. Thanks to our commercial appliance services, many businesses in the business and art district at Downtown Calgary thrive. Appliances are not just part of the everyday reality of homeowners but also play a major role to the route and success of thousands of businesses in our city alone. Just as the downtown area is the heart of our city, the core of our own business is to ensure that all companies and residences in the whole wide downtown area enjoy their appliances thanks to our repair and installation services. 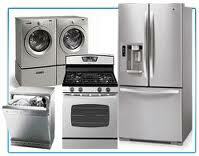 Our company is the number one Alberta contractor for appliances repair. We don’t make compromises when it comes to quality. From technicians and office staff to repair parts and equipment, we guarantee high quality in everything in order to guarantee the highest quality in services, too. Our professionals are knowledgeable technicians and ready to respond to your needs for downtown Calgary appliances repair. We are as fast as we can, especially if your dishwasher is overflowing or the fridge doesn’t work. When the problem affects your health and becomes a safety hazard, we try to send one of our repairmen as soon as possible. The truth is that we are always fast because we understand the importance of our job and the need for us to offer Downtown Calgary Appliances Repair fast. Being fast is one of our advantages. It’s not the only one. We have knowledge of all appliances. We are experts in the maintenance, troubleshooting and repair of dishwashers, washers, dryers, ovens, stoves and refrigerators but also of a plethora of small appliances as well. Our professionals are equally efficient when they offer appliance installation and appliance maintenance service and they are extremely thorough when they troubleshoot the appliance. 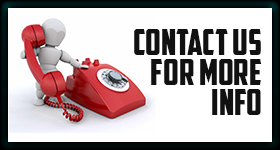 Our company owns great equipment because such services require accuracy. We do offer the best Appliances Repair in Downtown Calgary thanks to our commitment, knowledge and dedication.